You don’t have to do it alone. We’ve said that time and time again but we never want you to underestimate the power of a relationship. One method of marketing that most photographers don’t think about is reaching out to others that are not in your business. 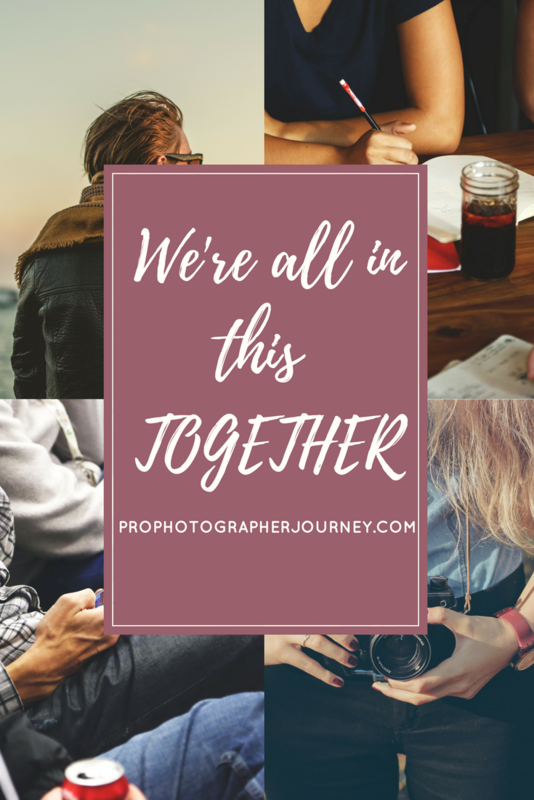 Though there is a time and place for reaching out to other photographers, there is also a creative way to reach an even wider audience. Marketing is hard enough as it is. Turns out, you can leverage other people in your community and have a relationship that benefits both of you equally. Find people that complement your niche but are not direct competition. For example, if you are a wedding photographer, you may want to get in touch with the local florist or local dress designer. Take time to get to know them and see if they are someone you might be willing to recommend to others and if they are willing to recommend you in return. People working together in the same industry, but not necessarily the same business, helps everyone connect pieces to a puzzle. If you can work together with other businesses or vendors, you not only help others out when they are using your service, but you are also building your own credibility. Now, after you begin the process of seeking out individuals that are both great at what they do and within the same industry, you need to take the time to interview them and share some of their most important information with your own audience. This brings your audience to them and hopefully, you will gain exposure as well from their audience. It’s a two-way street that all parties can benefit from. You are offering all of your own information to your audience but if you know where your viewers will be looking next, why not make it easy for them? You end up keeping them on your site longer, recommending them to a person you trust, and helping another entrepreneur as well. Social media to the rescue. Not only is this technique amazing for marketing, but it does very well on social media. It’s so easy to share a few bits and pieces and tag a trusted vendor and a whole new pool of viewers opens up to you. These vendors and businesses probably have almost the same goal as you, depending on your niche and industry, and there is no harm in working with them. We wouldn’t tell you to recommend another photographer in your same niche because that would be absurd. Instead, we would suggest that recommending a florist, a caterer, and a venue manager to your potential brides as their trusted photographer because that’s a no-brainer. You all share a goal without the competition. Everyone gains from this relationship. Just remember, choose who you recommend wisely because you will have your name associated with them and theirs with your business in return. Take time to get to know them, do some research, have a chat over coffee and see who they are a person and as a professional. If this goes well, everyone wins and strong alliances are formed.